Assortment of ten unique Jeffrey Favero images and an inspirational quote. 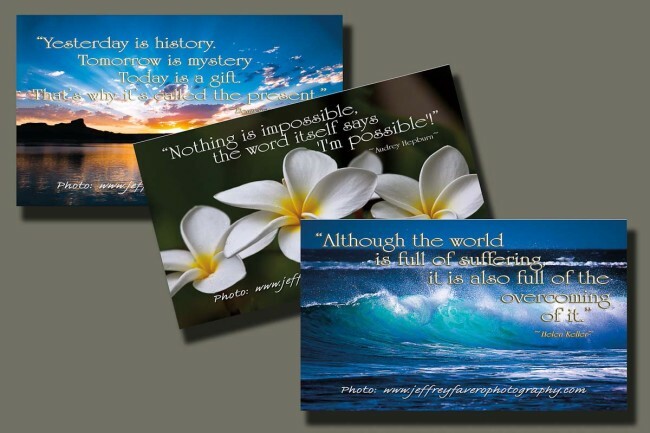 Produced on a 2″ x 3.5″ card with a high gloss finish. All in a clear envelope.